Books and media from our publishers regularly receive starred reviews and feature on many lists of best titles. We’re really proud of award-winners that come from our publishers, too! From Tilbury House, the picture book Moth and Wasp, Soil and Ocean: Remembering Chinese Scientist Pu Zhelong’s Work for Sustainable Farmingwon the Freeman Award for the Children’s Literature. The Freeman Award is presented by the National Consortium for Teaching about Asia. Moth and Wasp, Soil and Ocean, by Sigrid Schmalzer with illustrations by Melanie Linden Chan, features information about an important 20thcentury Chinese entomologist as well as historically accurate and beautiful watercolors. Receiving an Honorable Mention for the Middle Grade category Freeman Award, Pajama Press published Too Young to Escape, the autobiography of Van Ho, written with Marsha Skrypuch. In the time between her mother and siblings’ immediate postwar escape and her resettlement with them in North America, the young Van experienced Vietnam from a specific and special perspective. critics attention with The Dragon Slayer: Folktales from Latin America, by well known cartoonist Jaime Hernandez and with an introduction by scholar Isabel Campoy. 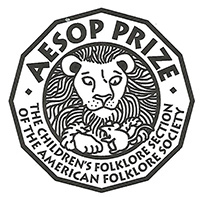 Available in both English and Spanish editions, The Dragon Slayerwon the 2018 Aesop Prize awarded by the Children’s Folklore Section of the American Folklore Society. 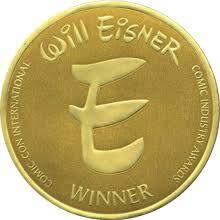 Toon Books also received recognition at San Diego Comic-Con.Good Night, Planet, by Liniers, and again available in both English and Spanish won the 2018 Eisner Award for Early Readers. Guillaume Duprat and published by What On Earth Books, won the Parent’s Choice Award for Nonfiction in 2018. Live Oak Media often makes a stellar showing in media awards and 2018 was no different. Trombone Shorty, written by Troy “Trombone Shorty” Andrews and narrated for this audiobook format by Dion Graham, was an Honors title in the Odyssey Award celebration. Many other publishers with whom we work also received a variety of accolades throughout the year. And as the new awards year begins, we know you’ll join us in anticipating which new titles receive major awards.